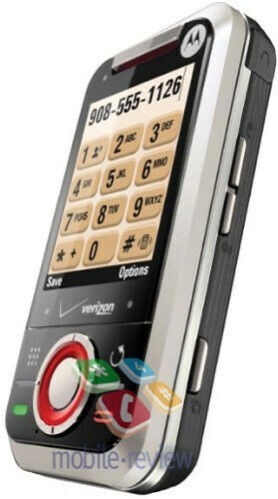 Good times are to come for Verizon subscribers who are keen on writing messages, sending e-mails, or in other words, prefer non-voice communication. 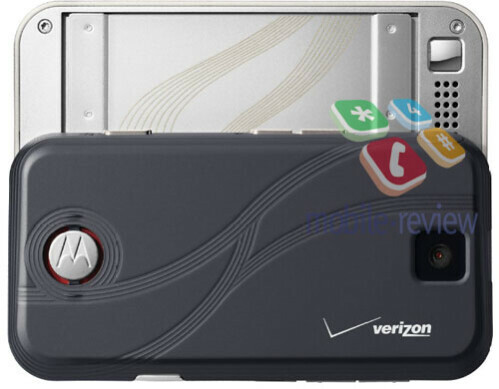 A number of images of a Motorola device, named the A455 (previously known as the RUSH 2), have been posted by Mobile-review. 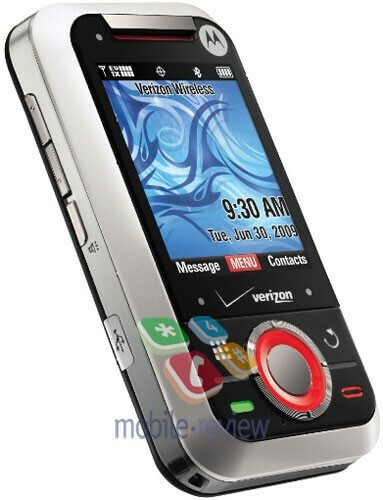 Judging by what we can see of its interface, this one is surely a CDMA/EV-DO phone, which will be available through Verizon Wireless, but what seems to be mostly interesting is that it will be a side-slider, incorporating a full QWERTY keyboard. This element of the device will also offer some additional goodies for texters, as it sports dedicated chat keys, including an emoticons one. 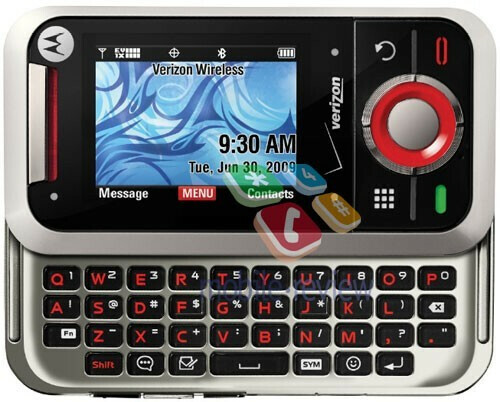 The on-screen dialing keypad that you can see on the images suggests that the screen will be touch-sensitive. However, the small labels on the display do not look really touch-optimized, and the presense of complete set of navigation keys leans us towards the idea that the touch display will have limited functionality. It will be interesting to see whether it will be used only for dialing with the phone closed, similarly to the LG KS360, or it will be usable in other applications as well, for example the music player or games, just like in the LG Secret. Further details on this good-looking texting device concerning release dates and pricing are still unavailable, but we hope to know more about it soon. The keypad looks capacious enough and the color scheme is kind of hip, but I just think that the front display looks way too small, probably a 2.4 inch display at most. They could have made it bigger by dropping it down that black space or by getting rid of that ridiculous red zit on the front of the device. I was loving this phone until I saw the branding. Verizon huh? *sigh* Let's hope Motorola will make a nice phone for AT&T soon.